Energy Drink with Vitargo for an optimal glycogen recharge. What are the characteristics of Vitargo? Who can benefit from Vitargo Carboloader? Vitargo Carboloader by Quamtrax is a product made of Vitargo®. 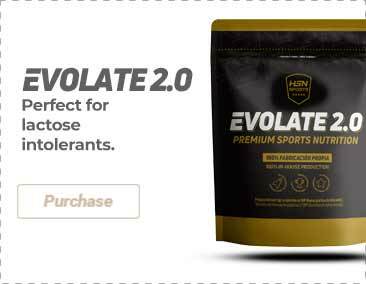 It is a supplement designed for performance athletes. It provides immediate energy to face any workout or competition. Vitargo Carboloader has been made from Vitargo®, which is a carbohydrate that has been molecularly changed with important qualities like being able to recharge the in muscle glycogen deposits efficiently, more than any other type of drink with these characteristics. The supply of carbs gains a very important role when it comes to performing to the maximum within the field of competitions. We should keep in mind that the activities are based on the glycolitic substrate (stored glycogen) which means that the energy deposits are going to be compromised, specially if we add a resistance factor. Taking a drink like Vitargo Carboloader will be essential if the athlete is truly interested in achieving his/her objective, since it provides a lot of energy while avoiding any variation that will be frequent in high intensity sports. These are interesting characteristics for the athlete, like a quick transit through the stomach, which means that it will be available in the blood in a shorter period of time than other drinks. The high molecular weight, specifically 100 times bigger than other common carbs, allows to reduce the degree of breakdown that the carbohydrate suffer, which then becomes glucose. This is why Vitargo® does not produce any stomach discomfort, which becomes an optimal drink for sportspeople and performance athletes. Starch (Vitargo®), citric acid, lyophilized orange powder, natural flavorings, sweetener E959 (neohesperidine) and E950 (acesulfame-k). Mix 70g with 500-600ml of water or your favorite drink after the workout. If you are doing a glycogen charge before a competition, take 2 servings of 70g between the main meals 3 days before the competition.